The Colorado Department of Labor and Employment has released an updated minimum wage posting showing the 2018 rate of $10.20 per hour. The Colorado Minimum Wage Order 34 Poster also lists the tipped employee minimum wage of $7.18 per hour. 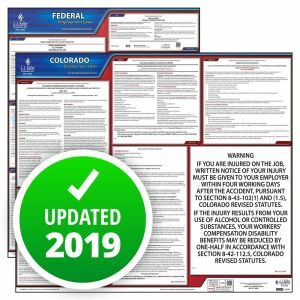 SHRM is pleased to provide you the opportunity to purchase from J.J. Keller by ordering through the SHRMStore, J.J. Keller’s State and Federal Labor Law Posters. 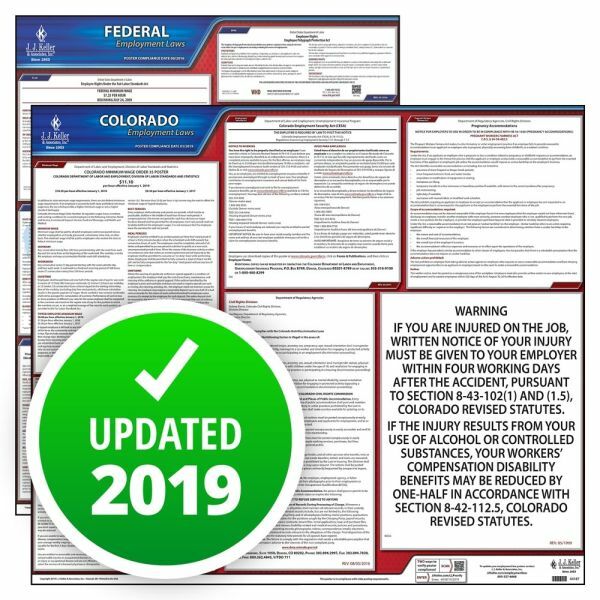 These Labor Law Posters come with J.J. Keller’s Annual Update Service that ensures you receive an updated poster if a required change occurs during your subscription period. J.J. Keller also provides a Certificate of Compliance*. 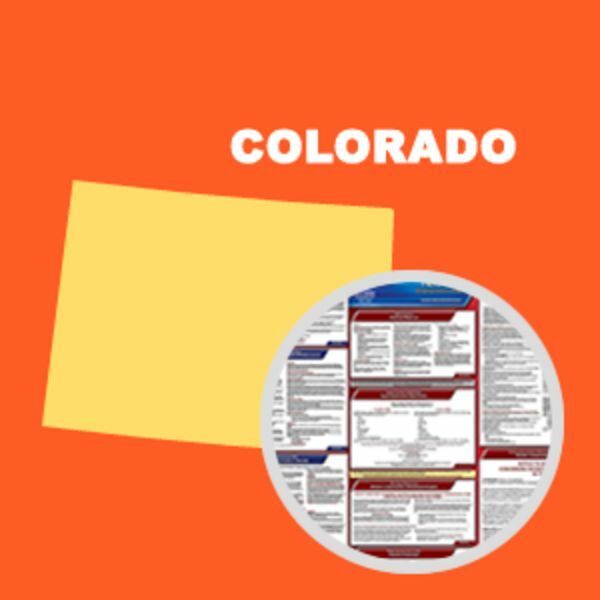 This State and Federal Poster Set includes one (1) Colorado Poster and one (1) Federal Labor Law poster. *If a customer location properly displaying J.J. Keller’s most current Employment Law Posters receives a government citation for improper posting content, J.J. Keller will reimburse paid fines properly imposed under state or federal law. Requests for reimbursement must be submitted to J.J. Keller within 30 days of payment and include a copy of the citation and proof of the amount paid.